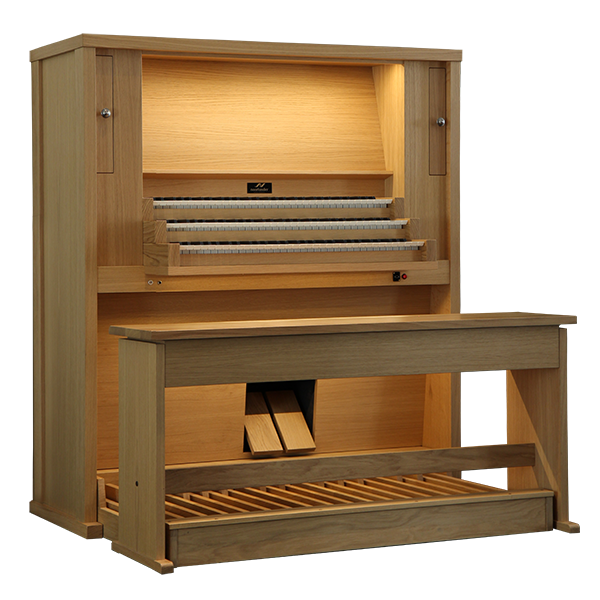 A Noorlander Hauptwerk organ with unprecedented value for money. Extensions can simply be realized later at any moment that suits you. 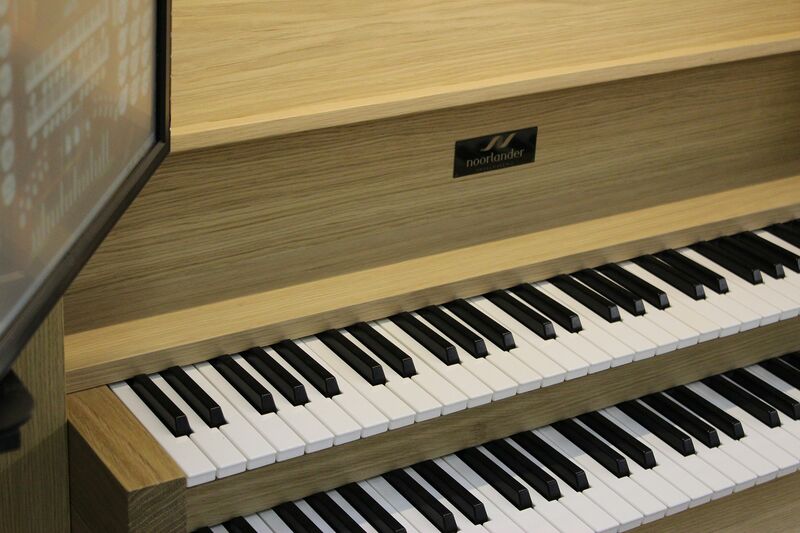 For example, you can add a third keyboard, a second touchscreen and multiple samplesets. The Fugara is build from quality components and finished with an eye for detail. 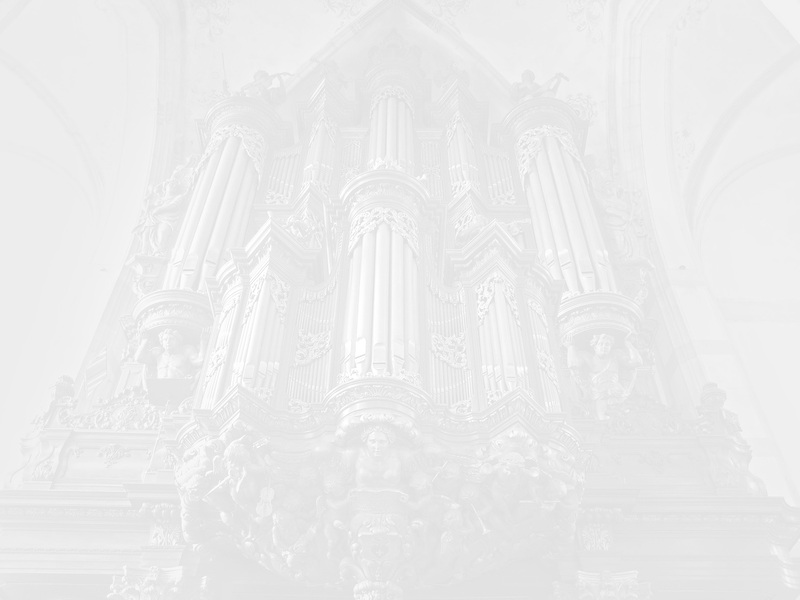 At Noorlander you buy the organ as furniture for life. Therefore it can be realized in any colored desired to suit your own interior. 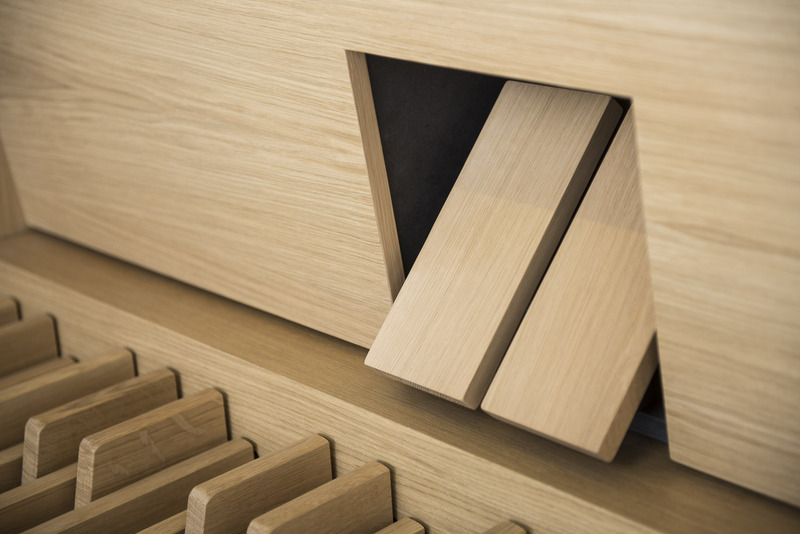 The Fugara organ comes standard with dimmable led lights on the pedal and the desk. 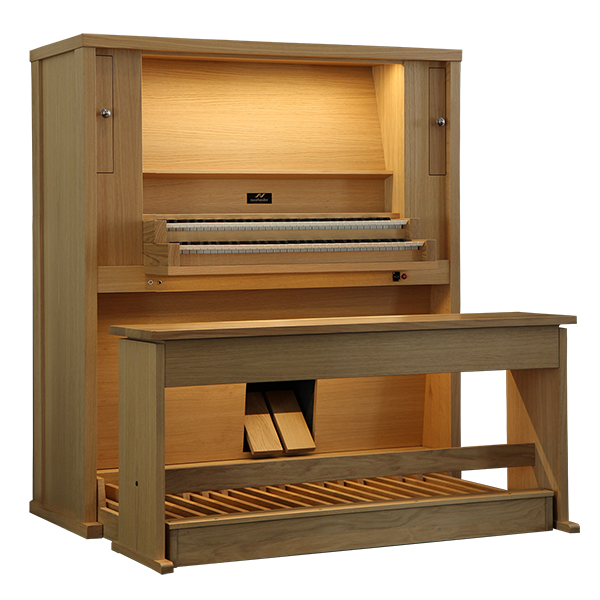 This can be operated separately from the organ to create an atmospheric piece in your interior.